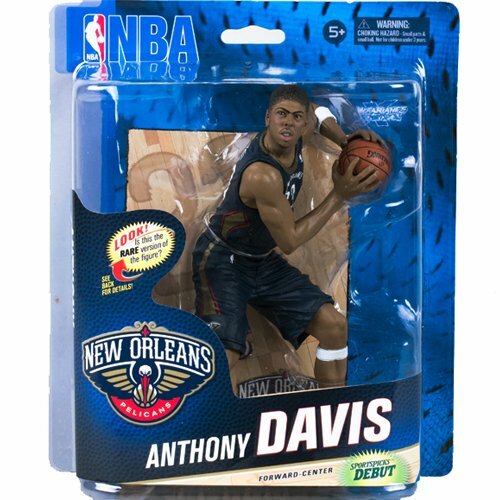 NBA 24 infuses some new teams and players into the lineup, while bringing back a few McFarlane SportsPicks veterans. This six-figure lineup includes new poses for LeBron James, Derrick Rose, and the return of Tim Duncan (last seen in NBA 6) and Paul Pierce (returning from NBA 13). This lineup also presents the SportsPicks debuts for the Golden State Warriors sharpshooter Stephen Curry, and the man anchoring the new look Pelicans squad, Anthony Davis. LeBron James and Derrick Rose return to the lineup in NBA 24.